If you are looking for a new pair of glasses in the Fremont area, check out Warm Spring Optometric Group in Fremont, CA. Our specialists would be happy to help you find your next pair of eyeglasses. Keep reading for some frequently asked questions about glasses and what we have to offer you. We offer an assortment of eyeglasses in all types of colors for men, women, and children. We have glasses that are classic trendy, retro, cat eye, and more. Please check out our website, call us, or stop by our office to see what we have to offer for you and your family. 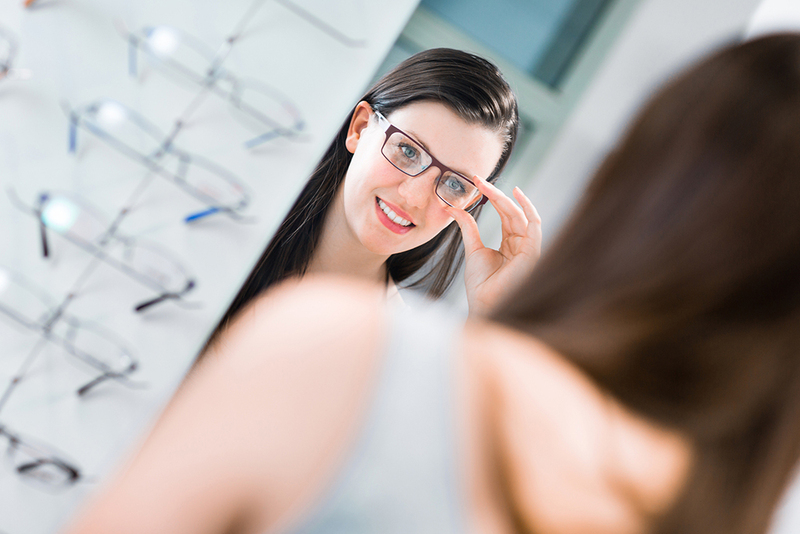 You want to first determine your face shape before choosing a style of eyeglasses. Face shapes range from aviator, round, oval, heart, diamond, and square shaped faces. Are you not sure what your face shape is? Take a picture of your face, then place a piece of tracing paper over the photograph. Make an outline along the edge of your face on the tracing paper. Match what you traced to one of the face shapes. Then, have fun picking out a pair of glasses that will compliment the shape of your face. What Color of Eyeglasses Should I Get? You can pick any color of eyeglasses, as long as it is a color you like and fits your personality. If you are not sure what color of glasses to get, consider your skin tone color. Warm skin tones are people with gold, yellow, or bronze in their skin. Choose a frame color like gold, olive green, honey, light tortoise, beige, or brown to compliment your skin tone. Cool warm tones are blue or pink in the undertone of your skin. Choose a frame color such as purple, gray, pink, black, silver, mauve, dark tortoise, or blue to best compliment your skin. Will My Glasses Fit My Lifestyle? You want to find a pair of glasses to fit your lifestyle. If you are very active, you don't want to get a pair of flimsy or rigid glasses that can break easily. There are active style glasses that will bend and not break if accidentally dropped. Gamers can choose glasses that will improve their gaming experience. If you have a job at an office, buy some business styled eyeglasses to fit your job. We would be happy to help you find eyeglasses. Contact Our Warm Spring Optometric Group in Fremont, CA Today! Set up an appointment with us to be on your way to a new pair of glasses. You can visit us at Warm Spring Optometric Group, 194 Francisco Lane #118, Fremont, CA 94539. You can also call us at (510) 490-0287.